This page details Scorpio Traits, star dates, Zodiac symbols, horoscopes, and personality profiles. 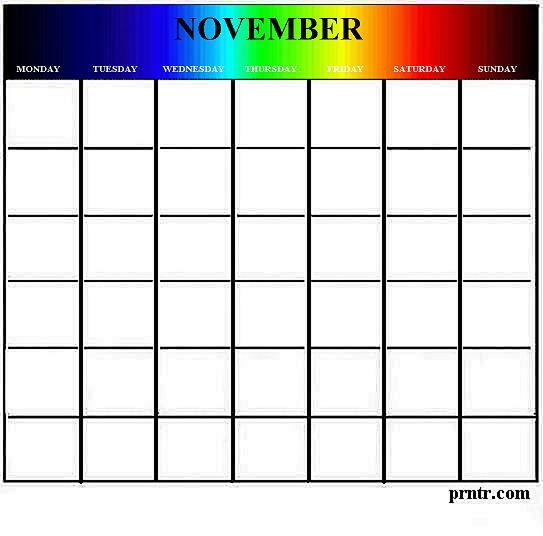 Shown above is a reusable monthly calendar for the month of November. To print this calendar, simply right click on the image and select a SAVE option from your drop down menu. This will SAVE the image to your picture file, where you can reduce or enlarge it, and adjust the margins as needed before printing. Customize your own calendar design. Scorpio is the eighth astrological sign of the Western Zodiac. The time of Scorpio occurs when the sun appears to pass through the constellation of Scorpius. This happens between the dates of October 24th and November 22nd. People born under the sign of Scorpio are believed to be passionate, temperamental, and intuitive to such a degree that some will call them psychic. People with Scorpio Traits have a tendency to secrecy. They are mysterious and cautious, often to the point some would call paranoid. Scorpios can sometimes be power-hungry and prone to excessive behavior. However, they also possess a strong sense of loyalty and a tremendous capacity for hard work. Scorpio is the sign whose people are considered most likely to take on a huge challenge. In interpersonal relationships, people born under the sign of Scorpio are said to be most compatible with partners born under the signs of Taurus, Cancer, Virgo, and especially Capricorn. Every year, the month of November starts on the same day of the week as the month of March. The birth stone that represents the month of November is the Topaz. Zodiac signs occurring during the month of November are Scorpio and Sagittarius. Thanksgiving (observed in the United States on the fourth Thursday of the month). For more tattoo designs, clip art designs, next month's calendar, and other assorted free printable items, click any of the links shown on this page.